A lost city scene... no way. Thread: A lost city scene... no way. Today I painted the Boschstreet in Maastricht. 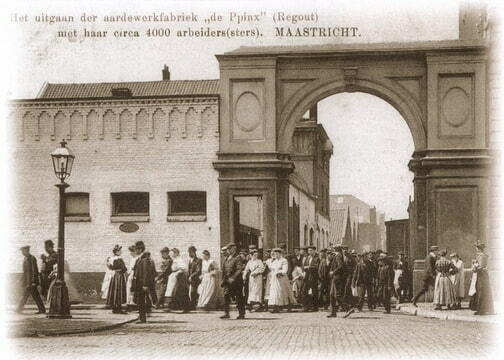 In the background you see the former local pottery factory of Royal Sphinx (Sanitec Corporation), originally founded by Petrus Regout in 1834. The factory shut down its acitivities in 2006. The city shall restore some factory buildings to transform them to luxurious city appartments. Last edited by Briex; 02-01-2010 at 08:54 AM. Incredible, Briex! I just love your work with architecture. You give so much mood and feeling from your paintings.